See all 80 properties in Rick Husband Amarillo Intl. 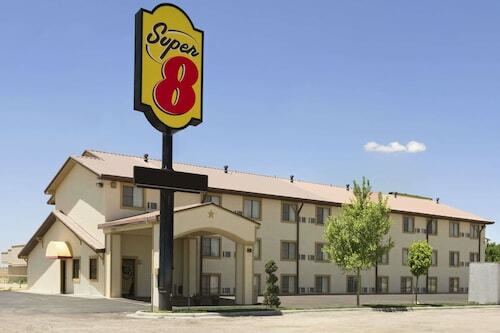 Located in the heart of Amarillo, this hotel is 0.1 mi (0.2 km) from Kwahadi Kiva Indian Museum and 2.2 mi (3.5 km) from Texas Air & Space Museum. American Quarter Horse Association and American Quarter Horse Hall of Fame are also within 6 mi (10 km). 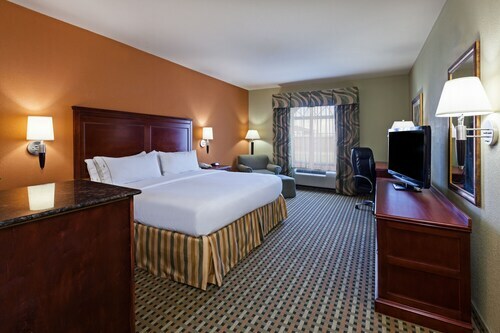 Situated near the airport, this hotel is 0.4 mi (0.7 km) from Kwahadi Kiva Indian Museum and within 9 mi (15 km) of American Quarter Horse Hall of Fame and Amarillo Civic Center. Amarillo Museum of Art and Amarillo Little Theatre are also within 9 mi (15 km). Situated in Amarillo, this motel is 0.2 mi (0.3 km) from Kwahadi Kiva Indian Museum and 2.1 mi (3.4 km) from Texas Air & Space Museum. American Quarter Horse Association and American Quarter Horse Hall of Fame are also within 6 mi (10 km). 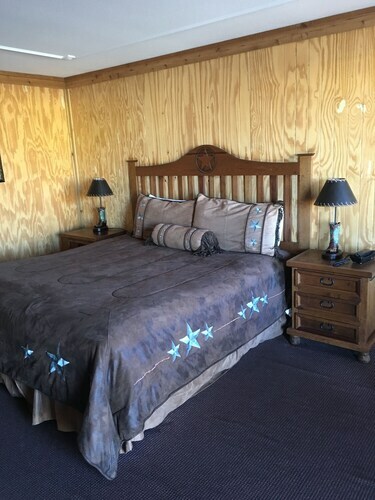 Situated in Amarillo, this motel is within 3 mi (5 km) of Kwahadi Kiva Indian Museum, American Quarter Horse Association, and American Quarter Horse Hall of Fame. Tri State Exposition is 3 mi (4.8 km) away. Situated in Amarillo, this hotel is 0.4 mi (0.6 km) from Kwahadi Kiva Indian Museum and 1.9 mi (3.1 km) from Texas Air & Space Museum. American Quarter Horse Association and American Quarter Horse Hall of Fame are also within 6 mi (10 km). 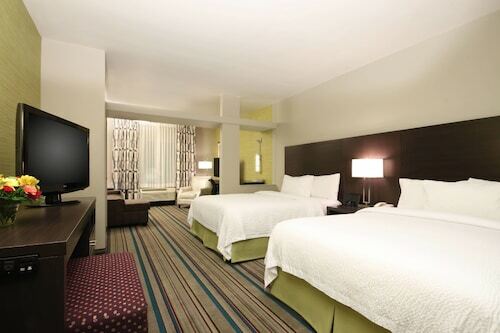 Situated in Amarillo, this hotel is 1.1 mi (1.7 km) from Kwahadi Kiva Indian Museum and within 3 mi (5 km) of American Quarter Horse Association and American Quarter Horse Hall of Fame. Amarillo Civic Center and Tri State Exposition are also within 6 mi (10 km). 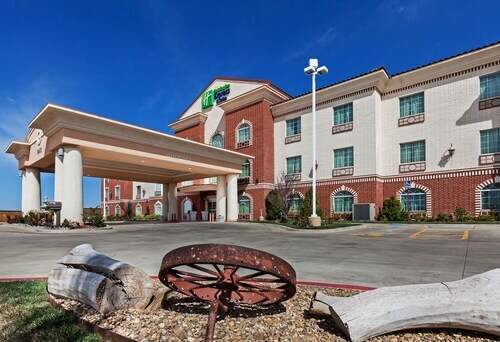 Situated in Amarillo, this hotel is 1.1 mi (1.8 km) from Kwahadi Kiva Indian Museum and within 6 mi (10 km) of Amarillo Civic Center and American Quarter Horse Association. American Quarter Horse Hall of Fame and Tri State Exposition are also within 6 mi (10 km). Answer : You sure can and you may save yourself some money by changing when you leave. The cheapest day to fly in April is Thursday. Answer : The cheapest day to fly from Calgary to Amarillo is on Thursday. If you would like to save a little money on your next business trip look for flights on that day. Question : How much time do people spend in Amarillo? Answer : The average time spent sightseeing in Amarillo by passengers from Calgary is five days. However long you decide to stay, give yourself plenty of time to see what makes Amarillo fantastic.